Great for those cool days and nights! 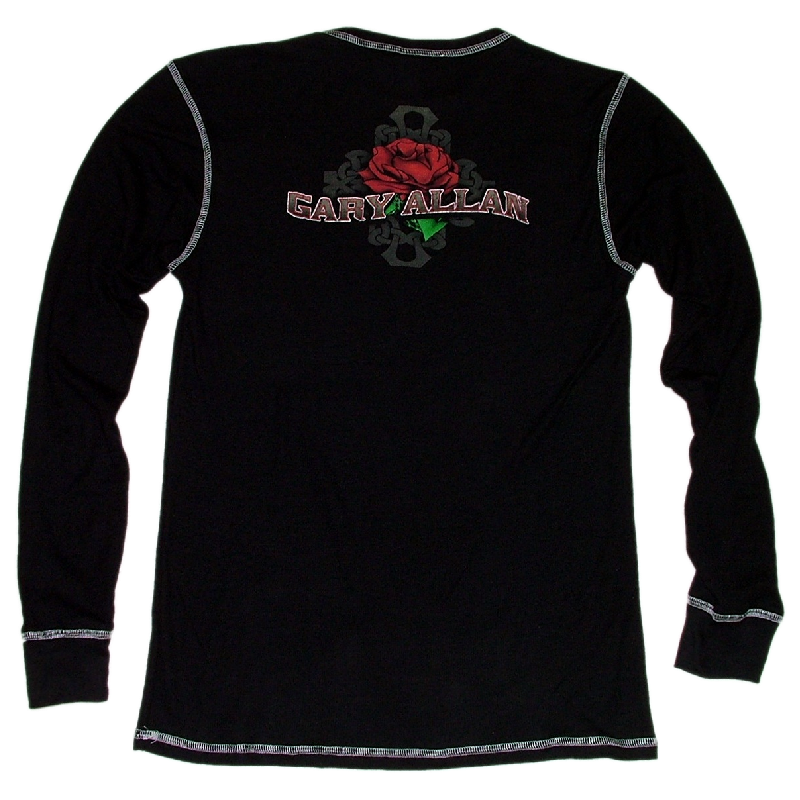 Gary Allan long sleeve thermal shirt made of 55/45 Cotton/Polyester. 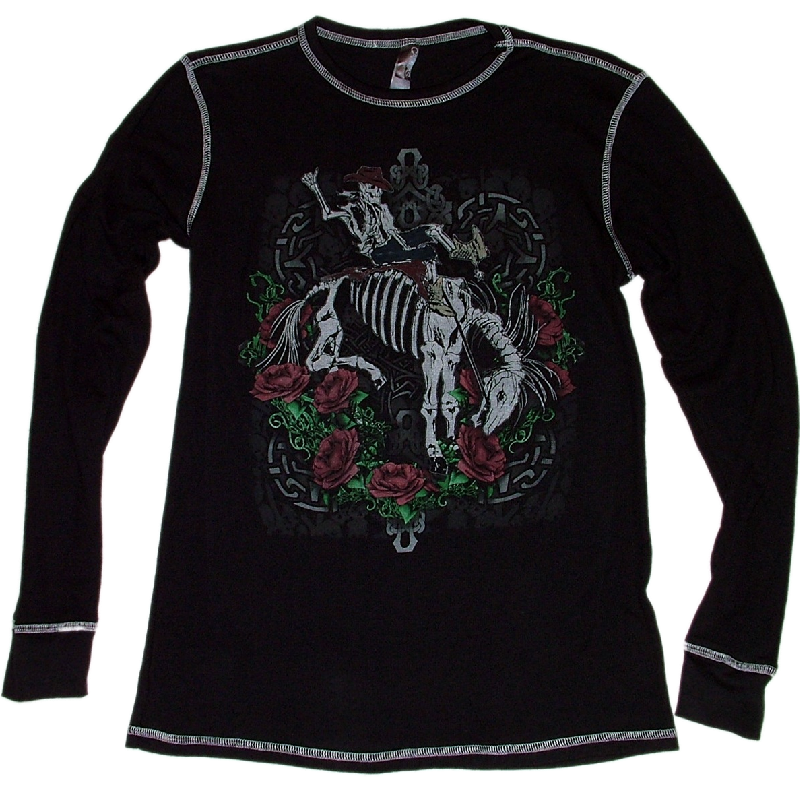 A distressed bucking bronc with roses design on front and Gary Allan logo with rose design on upper middle back. 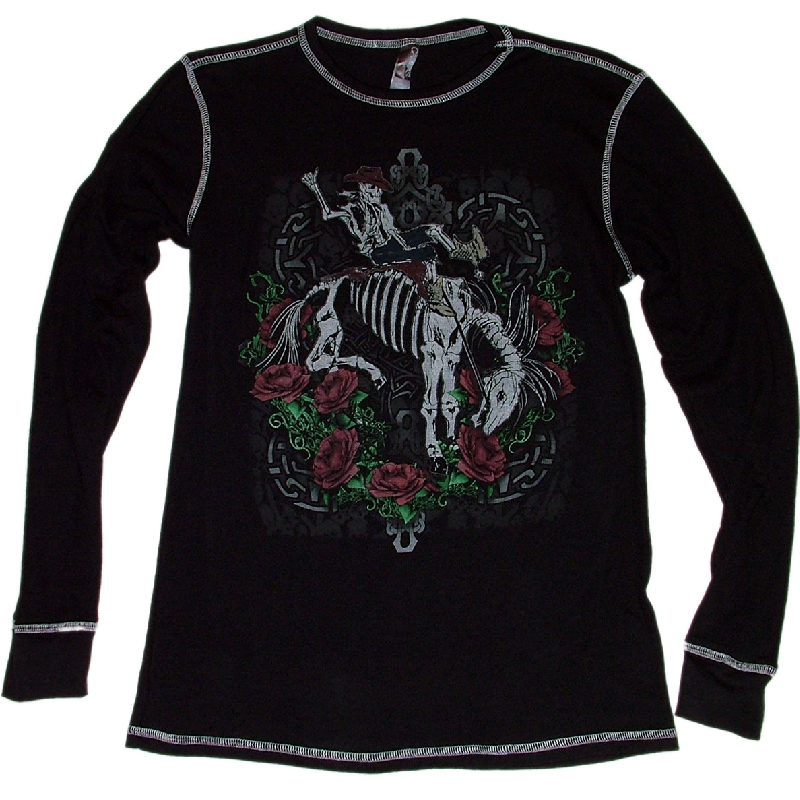 This is a great shirt for both men and women!